The NOHrD Bike Has Now Arrived! Why all the fanfare? Because this is a fusion between design and functionality that doesn't disappoint! The NOHrD Bike was finally revealed to the UK public last September after a successful outing at the FIBO exhibition in Cologne in April 2018. Having had a 'test drive' back in April, we can confirm it is everything (and more) that you will see written in third party reviews, by gym owners, fitness industry bloggers and personal trainers - all of which have been keen to get their hands on one! In keeping with NOHrD's existing wooden gym equipment (Wall Bars, Swing Bells, Slim Beam, WaterGrinder and Tria Trainer) their careful design and manufacturing to exceptional standards, has created a unique and stylish piece of equipment that has superb functionality for the user. The NOHrD Bike is no exception. NOHrD is synonymous with innovation, creativity and design flair, the fact that a lot of their equipment could fit in an contemporary art studio is not a mistake. NOHrD has a worldwide following as users look to their wooden finishes, of all types, to add a touch of luxury and style to a studio or home gym environment. What features can you expect to find? Choose the wood finish that best suits your studio, yacht or home. From ash or oak, to the dark stained club or shadow versions, there's also the cherry wood and walnut option too. Solid wood and steel frame makes this bike superbly durable. 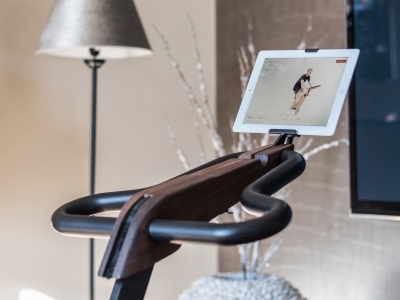 The NOHrD Bike can be used as a pure exercise bike, a spinning bike, in the upright position or in racing position thanks to the multiple handlebar positions and adjustable seat. The bike has a very small footprint. At less than 0.45 square meters if you're pushed for space or just want to keep things minimalist, then this bike's for you. No console, instead you can connect your smartphone or tablet via Bluetooth for metrics and data. 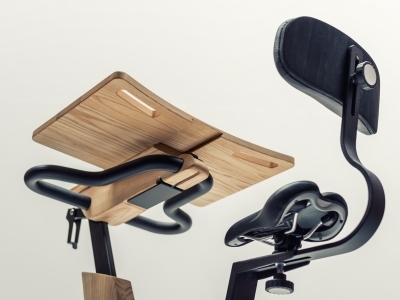 Two superb attachments that mean you can use the bike as a work station too. 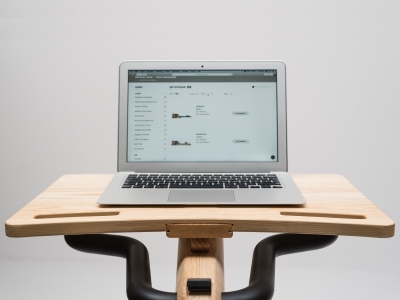 The seat backrest attaches to the back of the saddle and the wooden laptop tray attaches to the handlbars to give you a mini office space. What Do You Do To Get One? So you've made up your mind and you want to have one! We can now accept orders and depending on which finish, we may have them in stock to send out within the week. However, please call us for the latest availability on 01494 956765, especially if you are looking to order more than one. Which Rowing Machine does Frank Underwood use in House Of Cards?